Two Greek soldiers held in a Turkish prison for more than five months on espionage charges have landed home, after a court ordered their release. Lieutenant Aggelos Mitretodis and non-commissioned officer Dimitros Kouklatzis were detained on March 2 at a military zone in the western Turkish province of Edirne’s Pazarkule district, which hosts a border gate with Greece. A local court in Edirne ruled for their arrest and refused the two soldiers' subsequent pleas for release, citing suspicions of illegal entry and attempted military espionage. The soldiers told the prosecutors shortly after their arrest that they mistakenly crossed the border after getting lost in the fog. 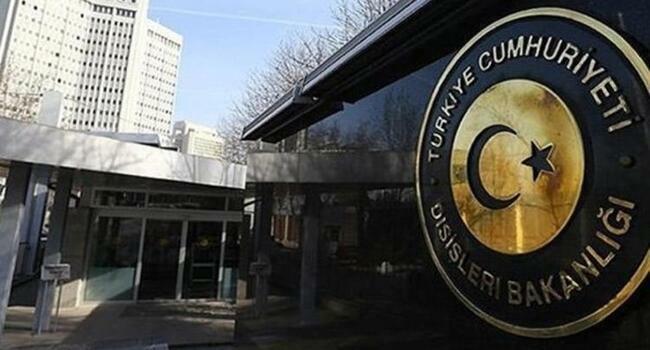 The Turkish court held its monthly hearing Aug. 14 on whether to release the soldiers from custody. According to Turkey's state-run Anadolu Agency, the judge ruled for the two soldiers' release, pending trial. They have not yet been indicted. Greek officials promptly travelled by plane to Turkey to collect the soldiers. The pair, dressed in their uniforms, arrived at Thessaloniki airport in the early hours of Aug. 15 morning, greeted by a guard of honour, Greek officials and their parents. "I hope that their release will mark a new chapter for Greek-Turkish relations," Greek Defence Minister Panos Kammenos told reporters. The Greek ministry said in a statement that Kammenos on Aug. 15 spoke over the phone with his Turkish counterpart Hulusi Akar following the release, inviting him for an official visit to Greece. Greek Prime Minister Alexis Tsipras welcomed the Turkish court’s move as an "act of justice". Their release will "contribute to a reinforcement of friendship, good neighbourliness and stability in the region," he said in a statement. The arrest of the soldiers had strained bilateral ties between Ankara and Athens, who are already at loggerheads over the exploration of gas reserves in the eastern Mediterranean. The court decision comes weeks after Tsipras and Turkish President Tayyip Erdoğan met in Brussels on the sidelines of a NATO summit and agreed to focus on efforts to reduce tensions in the Aegean.